With the short gameweek here’s our early fantasy premier league GW15 captain poll for you to say who will be your captain this week. There are also the polls for who you are planning on transferring in and also for who you are transferring out in the gameweek. As I write this all the games aren’t out so none this week. Also this week I’ve randomised the answers to the captain poll as I was getting some feedback that the order was influencing people. Aguero to Kane and handing him the armband… I would imagine it will be a popular move this GW. Im curious if today’s President Obamayang haul was enough to change everyone’s original plan to swap Aguero to Kane. At least a few ppl have it seems on the transfer prediction sites.. I myself am making a bold move for GW16 by getting rid of Salah and bringing in Aubamayang. 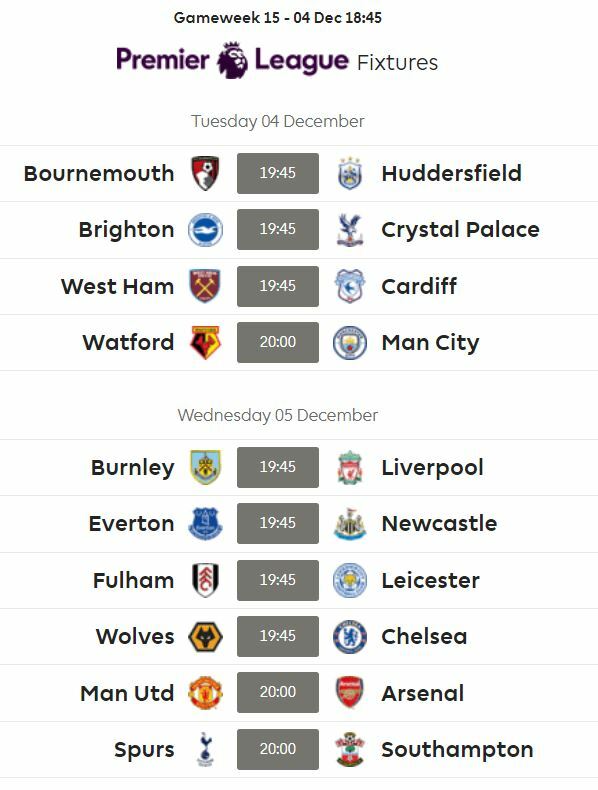 Those 3 fixtures after the United game are just too tasty to turn down and I have now finally decided that Salah is not worth the money. Exactly the same as Vinoth above, and I’ve done the Aguero to Auba transfer. Even considering captaining him at Old Trafford against a woeful United defence. I’m an Arsenal fan, which made the choice between Kane & Auba a lot easier. That and avoiding a -4. Dont have any money left, so just go swap aguero to auba for me.